BSPP Bihar Shiksha Pariyojna Parishad/ Bihar Education Project Council | BE/ BTECH Civil Recruitment | Government Jobs 2010 | Last Date: 15-July-2010. BE/ BTECH Civil required as Assistant Engineers in Bihar Shiksha Pariyojna Parishad/ Bihar Education Project Council, Patna. 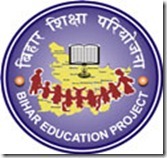 The Bihar Education Project Council (BEPC), popularly known as Bihar Education Project (BEP) is an organization dedicated to achieving Universal Elementary Education (UEE) in the State of Bihar, India. Launched in 1991 with the purpose of bringing about quantitative and qualitative improvement in the Elementary Education system in Bihar. Primary education has been focus area during the implementation of BEP & DPEP-III programs till 2001-02 and was subsequently extended to Elementary level with the launching of programs like Sarva Shiksha Abhiyan (SSA) and National Programmers for Education of Girls at Elementary Level (NPEGEL). Being the State Implementing Society (SIS) of these prestigious programs, the project emphasizes on the education of deprived sections of society, such as Scheduled Castes (SCs), Scheduled Tribes (STs), Minorities, Girls of Bihar. at least 50% marks aggregate. Application Fees: DD of Rs.300/- in favor of “Bihar Education Project Council” payable at Patna. competent authority, if claim is made either for fee exemption or application is made against reserved post, certificate of disability and certificate of domicile issued by competent authority, if any, DD / Bank Draft in an envelope super scribing in bold letters Name of the post applied for with post code only through Registered/ Speed post latest by: 15th July, 2010 till 5:00 p.m.
HPL Hindustan Prefab Limited | BE/ BTECH (Civil), B. Arch Recruitment | Government Jobs 2010 | July 2010 | Last Date: 26 July, 2010. IIT Kharagpur | Indian Institute of Technology Kharagpur | Recruitment BE/ BTECH (Civil, Electronics & Communication, Agricultural Engg.) | Government Jobs 2010 | July 2010 | Last Date: 22 July, 2010. NIA National Investigation Agency | Various Posts for Engineers/ Computer Engineers/ IT | BE/ BTECH Recruitment | Government Jobs 2010 | July 2010 | Jobs in New Delhi. Posted in Civil, Government Job, Job After Btech. Tags: BE, Bihar Education Project Council, Bihar Shiksha Pariyojna Parishad, BSPP, btech, Civil, Government Jobs 2010, July 2010, Patna, recruitment on June 30, 2010 by kavita joshi. work as a computer teacher in a +2 school in narpatganj (araria). apna aga ka to khayl kijiya.